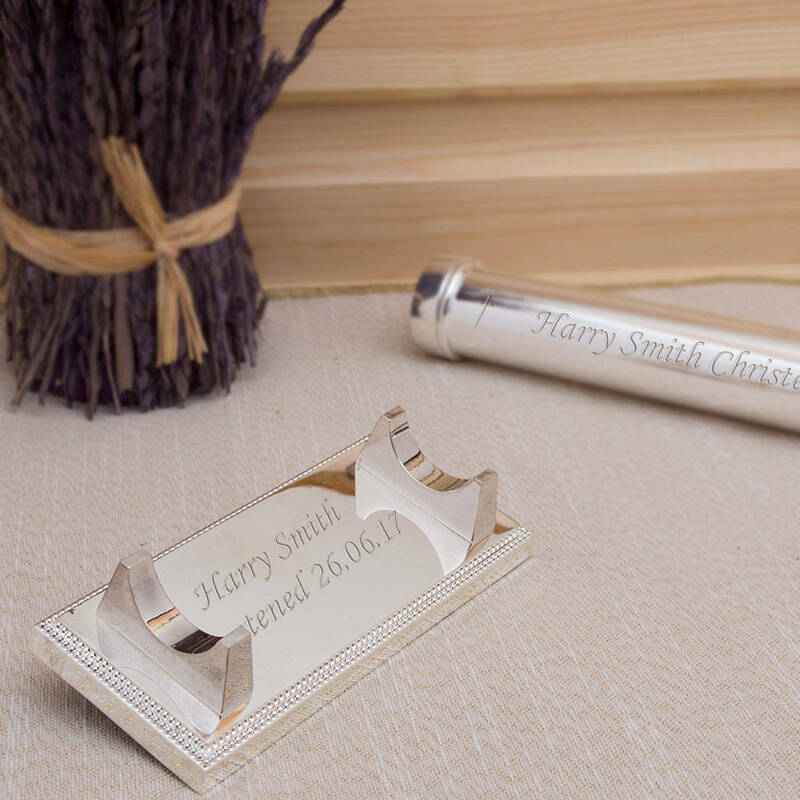 Silver plated personalised christening certificate holder with engraved message on the holder and the stand for special personalised gift. This engraved christening certificate would make an ideal gift for a christening. There is space for a message along one side of the barrel, as well as a space on the stand too. Please keep your message to a maximum of 36 characters for best engraving results on the barrel spread over 1 line only. You can add a further 2 lines of text onto the stand. We recommend a maximum of 48 characters in total with 25 characters maximum per line for the message on the stand. 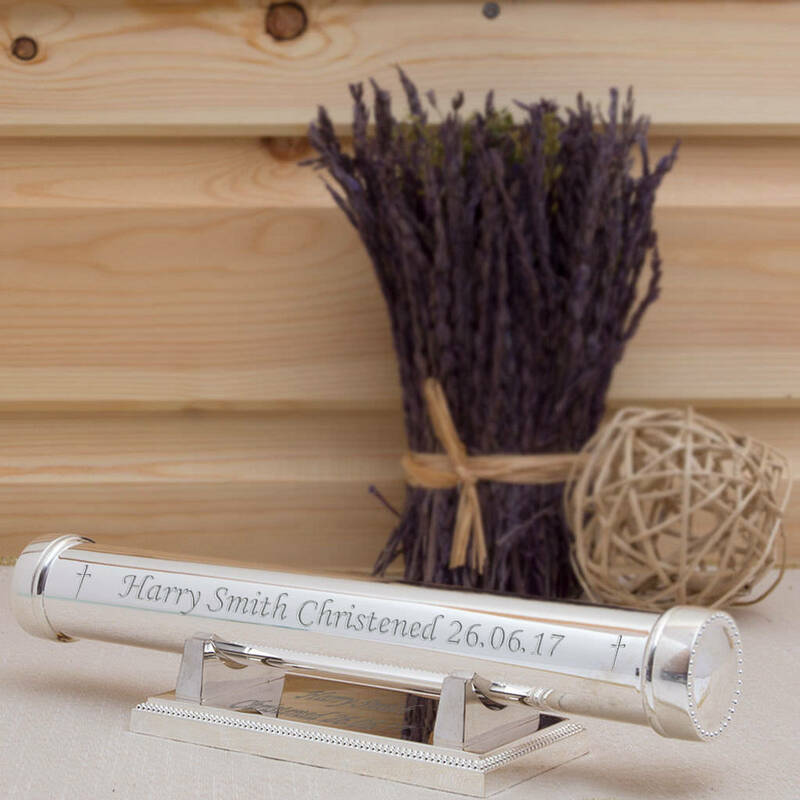 The personalised certificate holder is engraved in-house, so if you have a particular requirement please contact us and we will try and accommodate.